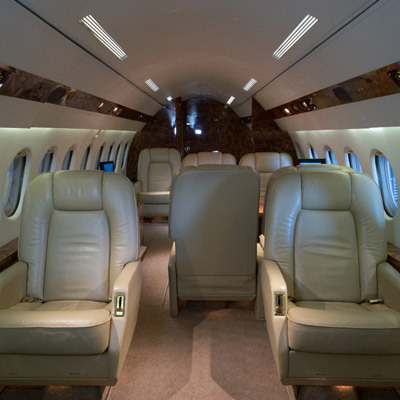 ExecuJet offers several different types of aircraft to meet your flight needs. We have access to many types of aircraft throughout the world. 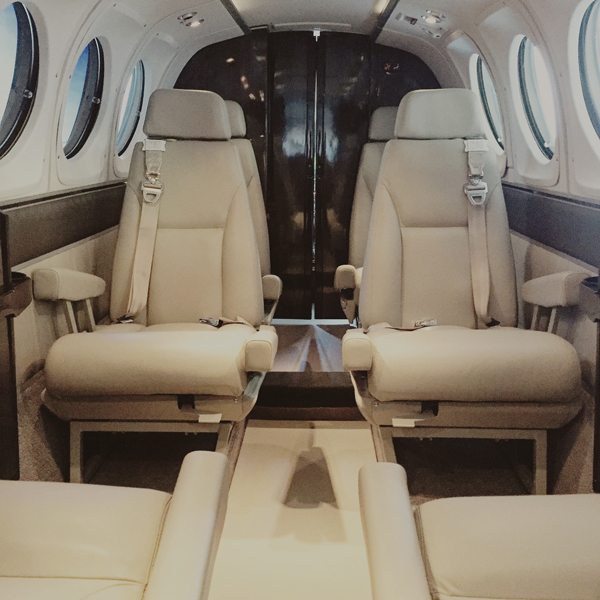 Our extended fleet of aircraft includes Gulfstream, Global, Challenger, Citation, Lear and Hawker. 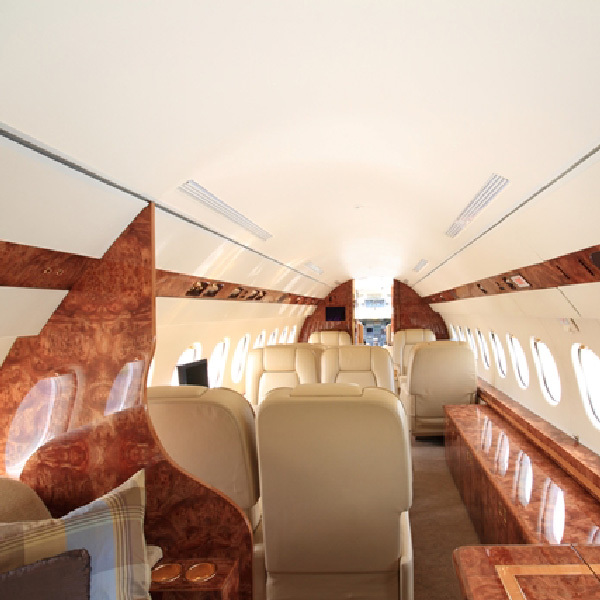 Whatever your private charter needs may be, ExecuJet is here to assist you. The Falcon 900 is one of the largest and most luxurious jets in the ExecuJet fleet – perfect for both business and leisure travels. With a range of 4,700 miles, coast-to-coast and nonstop transoceanic flights are routinely completed with speed and efficiency. 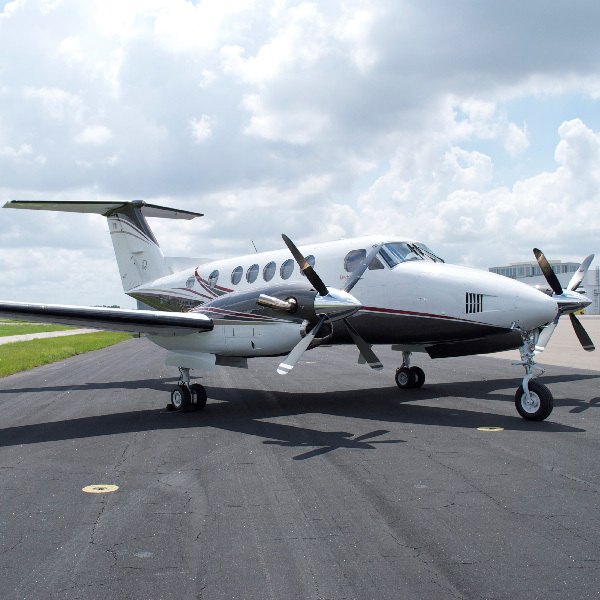 This aircraft comfortably seats 12 passengers in its gorgeous cabin area. The Falcon 900 provides complete access to your belongings at all times, with cabin access to the luggage compartment. 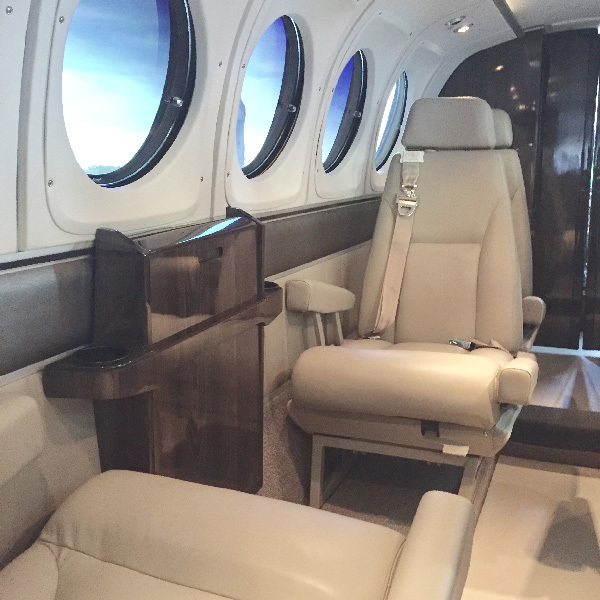 The Falcon 900 has full Wi-Fi capabilities and a full entertainment center. 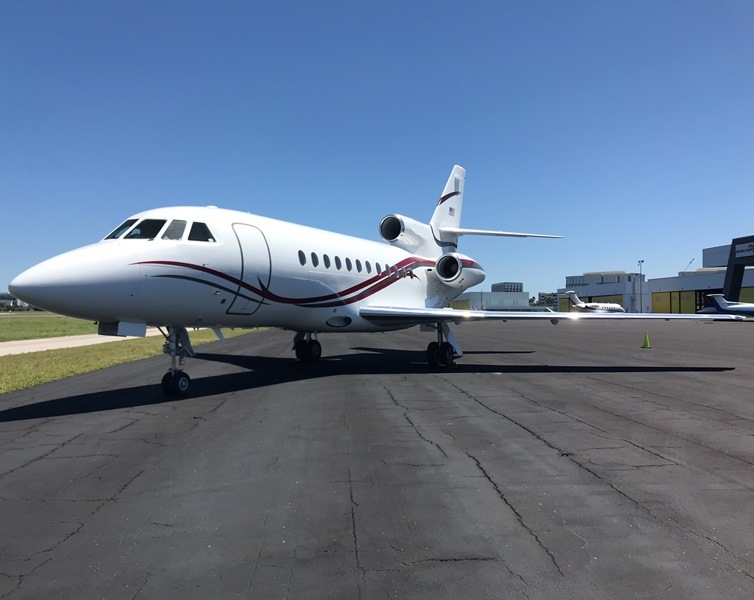 Minimize the strain of long-range travel and maximize the benefits of private air travel by chartering ExecuJet’s Falcon 900. 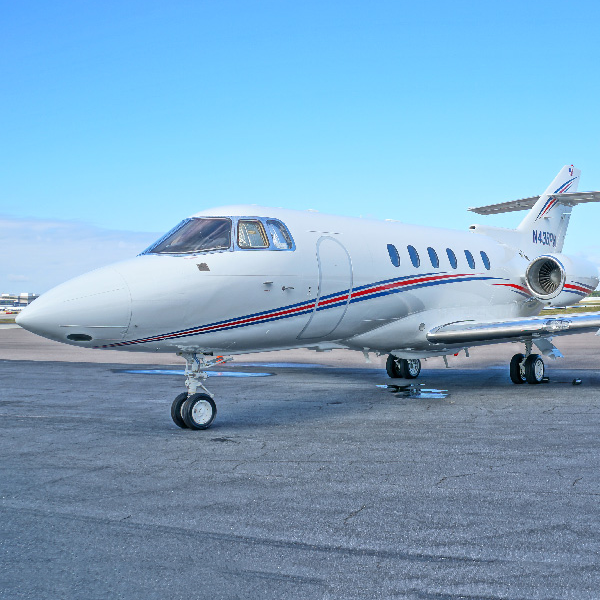 With a range of over 3,000 miles and a speed of 525 mph, this 8 passenger Hawker 800XP² is an ideal aircraft for coast-to-coast or international charter due to its innovative winglets, which allow for increased speed and performance. 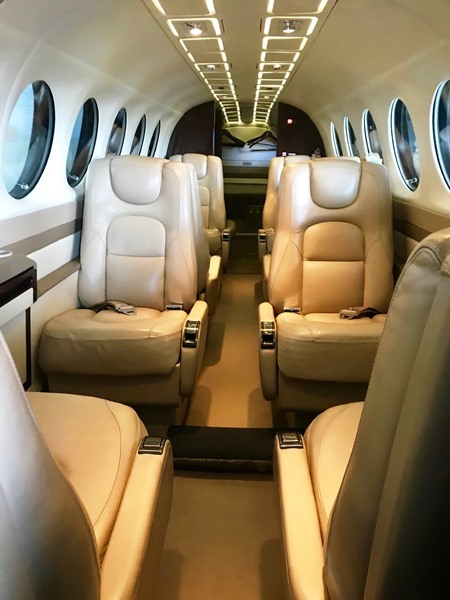 This aircraft features many on board amenities including an Entertainment Center with DVD Player and Flat Screen Monitors, luxuriously appointed leather interior, a full galley with microwave, Satellite phone, Airshow and an in-flight camera view system. For your safety and comfort, this new aircraft contains the most state of the art features both in the cockpit and throughout the cabin. Captain’s chairs in the main cabin and the 9th lavatory seat. difference in overall cruising speed. 300 mph this is the perfect aircraft for short to medium range missions. 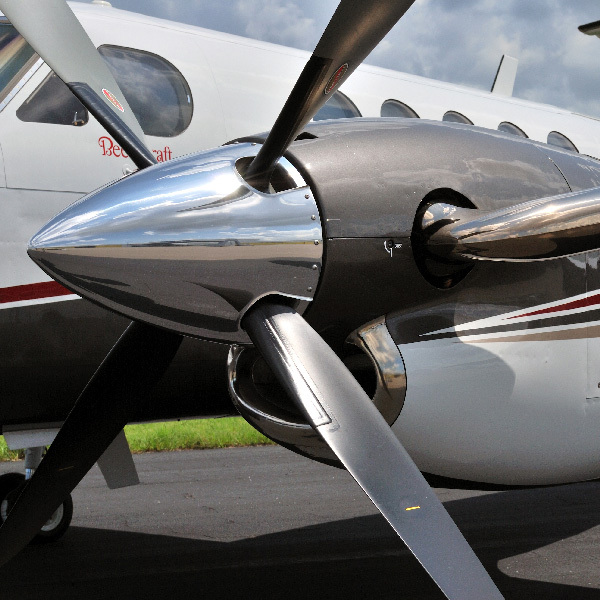 The Blackhawk King Air 200 is one of the finest turbo prop aircraft ever produced. From short to long range, this aircraft can carry up to nine passengers at approximately 300 mph. 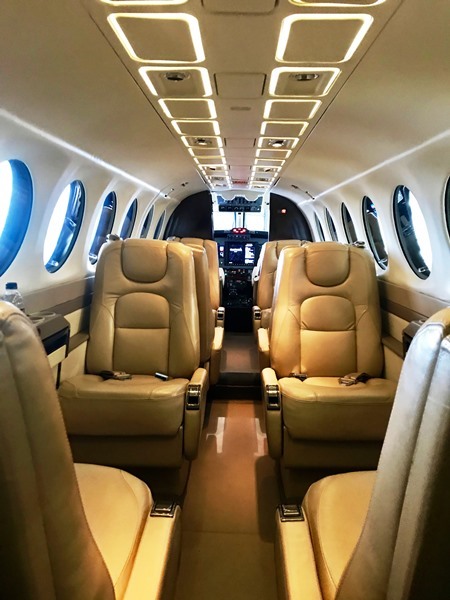 The speed and efficiency of its Blackhawk jet engines make this aircraft an excellent choice for any type of mission and is the perfect compliment to our existing fleet of jet aircraft. 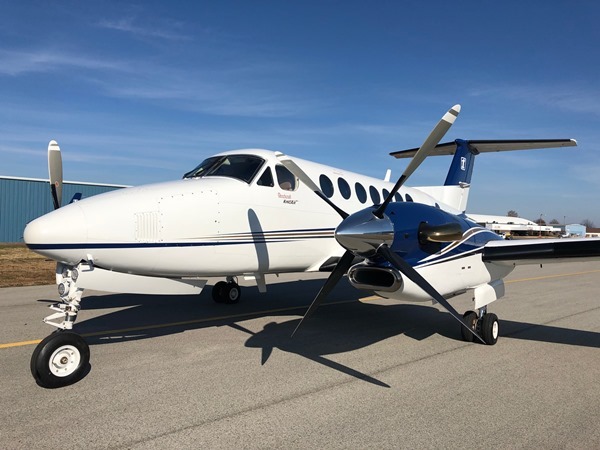 The Blackhawk King Air was recently refurbished with a new exterior paint scheme, brand new engines and a seating modification that added two additional seats to the cabin (raising the maximum number of passengers this aircraft can hold from seven to nine.) 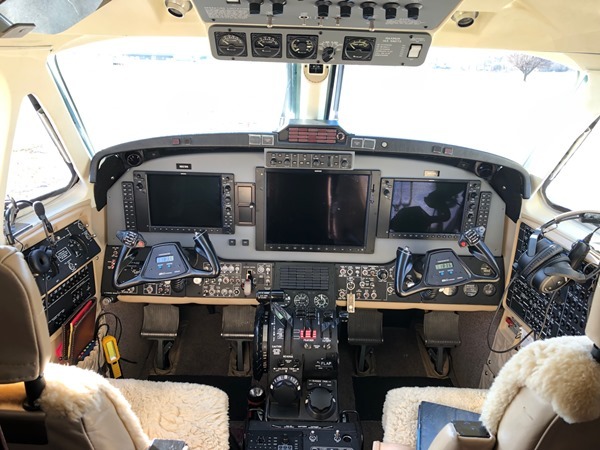 The refurbishment also included the addition of a Raisebeck Epic Platinum Kit, which further enhances the safety, range, speed and fuel efficiency of this aircraft. 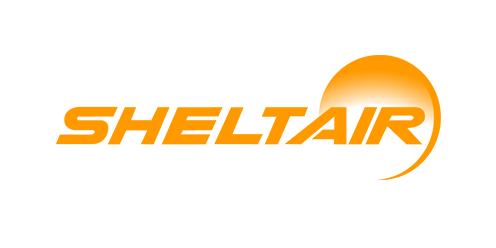 Chairman & CEO, Kforce, Inc.
"It has been a real blessing to have worked with the ExecuJet team over the past twelve plus years. 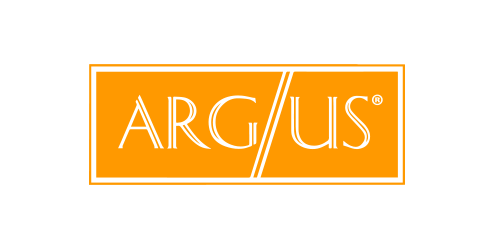 Throughout that time, we have been able to depend on ExecuJet as a trusted partner for both Kforce corporate requirements and my own personal travel. 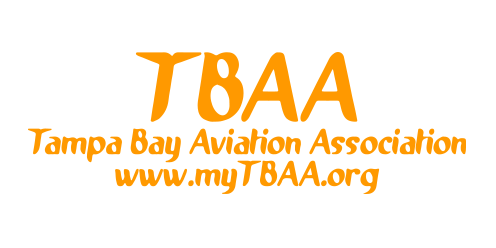 Of particular note is the professionalism of the entire team including the pilots, maintenance staff, charter reservations and accounting. 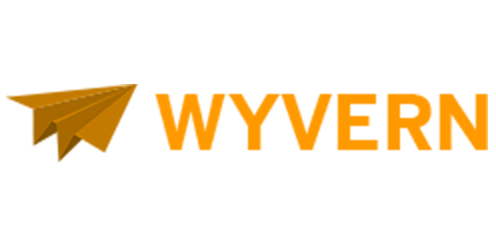 As a customer that requires flexibility and dependability, ExecuJet has delivered consistently. 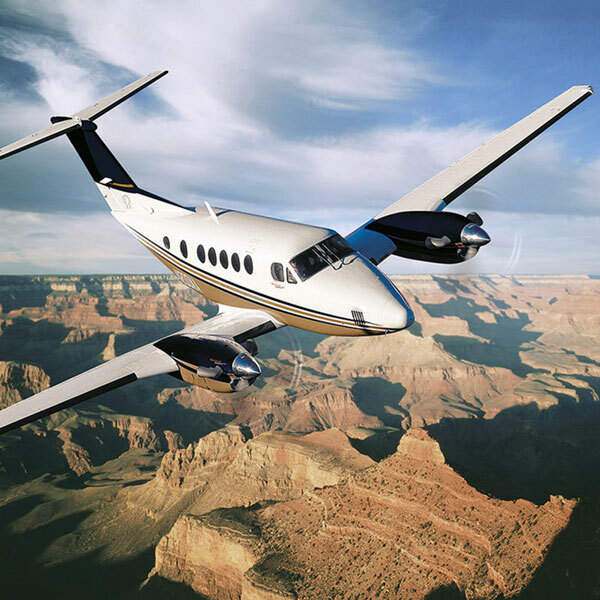 In addition to the outstanding service at ExecuJet, the quality and finish of the aircraft fleet and the range of fleet applications has allowed us the flexibility to do short hops as well as coast-to-coast travel. 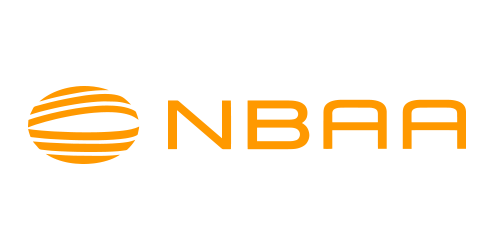 I can say without hesitation that using ExecuJet for our cross country investor, customer and field visits has enabled us to do what is impossible to do commercially in the same time frame. 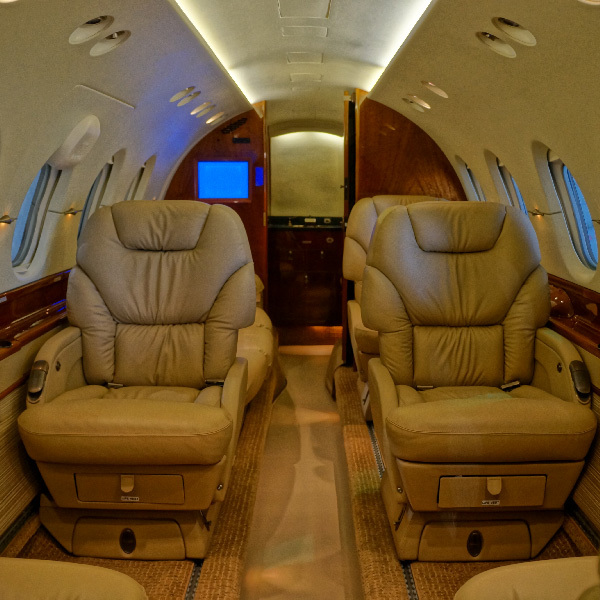 We look forward to flying with ExecuJet for years to come."